Even in this new age of e-books, many go players still turn to good old-fashioned hard-copy books about go. Over the years, many players and clubs tend to collect books about go, from the mundane to the rare. Places like the Seattle Go Center — and now the National Go Center in Washington, DC — have shelves full of printed materials for their members to study and borrow. This is convenient if you have the type of real estate that can house a large number of books. But what if your club doesn’t have a Go Center? In Rochester NY, at the Empty Sky Go Club, we’ve decided to work with our host university, the Rochester Institute of Technology, to house the club’s books. Over the years, we had collected over five hundred go books — far too many for anyone’s house. We decided that our new players should have access to those teaching materials when they’re starting out. Empty Sky Go Club’s longtime advisor, Tom Policano, suggested that Empty Sky be known for our expansive library. 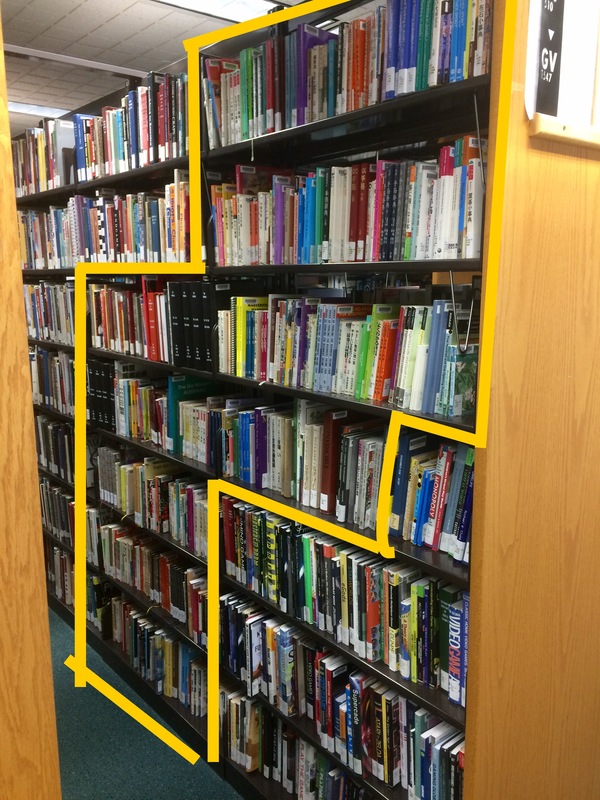 We partnered with RIT Libraries to catalog and collect the books that were formerly stored in several club lockers. 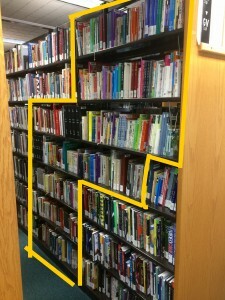 At present there are 385 books on the shelves of RIT’s walk-up collection (right), with another 170 in the queue to be added by the end of the year. We were curious to benchmark against the collections of peer institutions. Princeton University’s Asian Library is well-known for its collection of books on go; they currently hold 248 titles. But the Cleveland Public Library system is the current champion, with 434 titles. Very cool, but what if you don’t live in Cleveland, New Brunswick, Rochester, Washington or Seattle? The true power of putting books in an institutional repository is that most libraries are part of a worldwide system called WorldCat, which catalogs books and other media from all over the world. Which means all of these books are as close as your local library via the Interlibrary Loan system. So if you’re looking for a go book to study, now is the time to check your local library and borrow something interesting. From Janice Kim’s “Learn to Play Go” series, to many Nakayama titles, to every copy of Go World and a whole lot more, there are many many options for players to study and deepen their enjoyment of the game. Check it out!